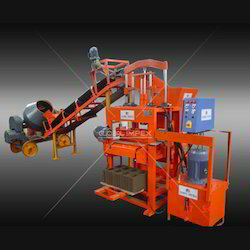 This is a Hydraulic Concrete Block Making Machine on wheels. It will lay blocks on a concrete floor and move to the next position. This process eliminates the need for wood or steel pallets. 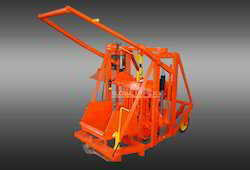 The mould and ram are moved by hydraulic cylinders, which creates a much stronger block and the block maker can use less cement. Any type of blocks can be produced with consistent quality by affixing the desired mould. Several standard moulds are readily available. Custom moulds can be produced. 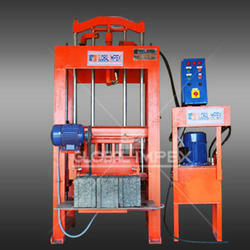 This machine applies pressure of 2000 PSI. 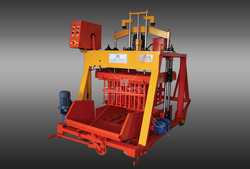 This machine can be used to produce Hollow Block, Solid Blocks, Bricks Galore And Interlocking Pavers. 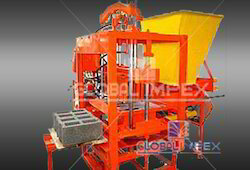 We bring forth dimensionally accurate and extremely efficient Manual Operated Concrete Block Making Machine. These manually operated machines are manufactured as per the industrial standards and norms, and provide hollow or solid concrete blocks in different dimensions. 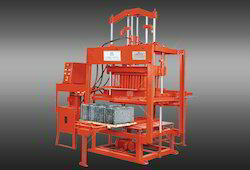 Concrete blocks made by these machines are extensively used for construction purpose, owing to their high strength and durability. 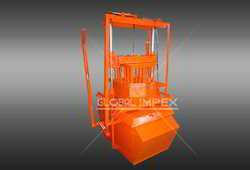 We are engaged in the manufacture, supply, and export of Concrete Block Machines. 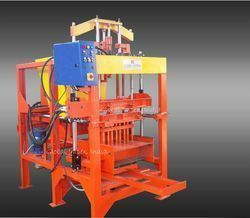 These machines are quite popular in demand, owing to their ability to produce much stronger blocks because of the high pressure applied by the hydraulic system. 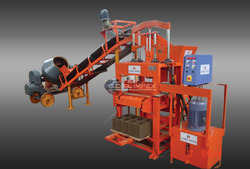 Manufactured as per the industrial standards and norms, these machines provide solid or hollow concrete blocks of supreme quality and high volume. 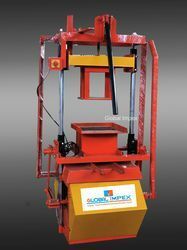 We are engaged in offering Global 430G With Motor that is highly demanded by various construction industries for making concrete blocks. 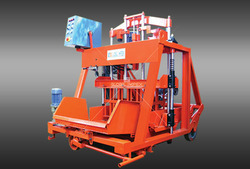 Manually movable, these machines perform a large number of operations per hour and operate at adjustable amplitude. These machines are widely appreciated for their dimensional accuracy, high efficiency, and reliable performance. 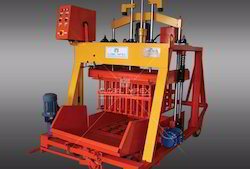 We are engaged in offering Movable Block Making Machine that is highly demanded by various construction industries for making concrete blocks. 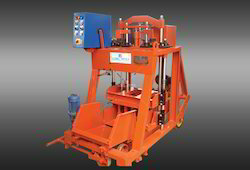 Manually movable, these machines perform a large number of operations per hour and operate at adjustable amplitude. These machines are widely appreciated for their dimensional accuracy, high efficiency, and reliable performance. power required : 3. 5 hp / single (or) 3phase. 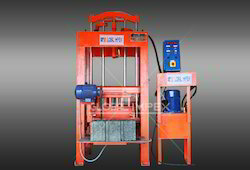 The 1000shd block making machine is a hydraulic machine which has the same production capabilities as the other machine, but produces a stronger block, due to the greater pound pressure with 2 vibro motors applied by the hydraulic system. 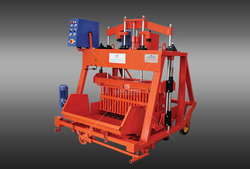 Looking for Concrete Block Machine ?